Safety experts say that the increase of travelers and guests over the holidays plus winter weather conditions are likely to be the causes of hundreds of car accidents in Boston and elsewhere. According to the Boston Globe, the northern and western parts of Massachusetts can expect nearly a half a foot of snow right about now, and heavier snow is expected in the higher elevations of the state. Weather advisories are common in northern Worcester County, western Hampshire County and Franklin County. With these warnings comes reduced visibility, slick roadways and increased risks for accidents. Shortly after the northern areas of the state get the icy, snowy road conditions, Southeastern Massachusetts should get ready, because it’s headed our way. Our Boston car accident lawyers understand that the weather isn’t going to be the only thing that will be a factor in the safety of motorists on our roadways. During the Christmas holiday period that ends today and the New Year’s holiday that runs through Jan. 2, hundreds of people are expected to be killed in motor vehicle accidents. Nearly 100,000 more are expected to be injured. The National Safety Council (NSC) releases predictions every year regarding the fatalities and injuries expected during these long holidays. -The Christmas holiday is the time from December 23rd through December 26th. -More than 285 people are expected to die. -Another 28,700 people are expected to be injured severely enough to warrant attention from a professional medical in accidents. -The use of seat belts may save 102 people. -If all motorists were to wear a seat belt, then another 75 people could be saved. In 2007, 2008 and 2009, the number of actual fatalities witnessed during this holiday period actually decreased every year, from 454 to 409 to 249. This year’s prediction is higher than last year’s actual fatality number. Residents are asked to be cautious and alert while driving during the holiday traffic season in an attempt to continue to downward trend in actual fatalities. -The New Year’s holiday is the time from December 30th through January 2nd. -More than 295 people are expected to die. -Another 29,700 people are expected to be injured severely enough to warrant attention from a professional medical in accidents. -The use of seat belts may save nearly 110 motorists. -If all motorists were to wear a seat belt, then another 95 people could be saved. The New Year’s holiday has higher predictions of fatalities and also has a consistently higher record for actual fatalities. The number of fatalities within this holiday period during 2007, 2008 and 2008 has increased every year from 387 to 407 to 458. While this year’s prediction is significantly higher than last year’s actual, motorists are still asked to be extremely cautious on our roadways to ring in a safe and happy New Year! 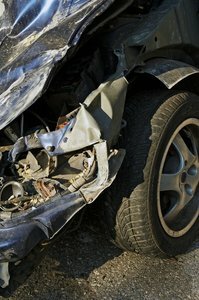 If you or a loved one has been involved in a traffic accident in the Greater Boston area, contact the personal injury lawyers at the Law Offices of Jeffrey S. Glassman, LLC for a free and confidential consultation to discuss your claim. Call 1-877-617-5333.